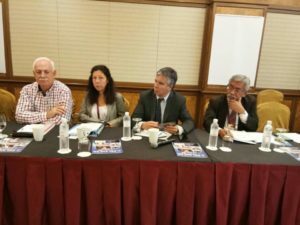 The next Co-operative Housing International Board meeting is to be held on the 23rd of October from 9am to 4pm during the Summit of the Americas. Items on the agenda include the President’s report, the forthcoming Ukraine symposium, there will be a presentation on co-operative housing in Argentina, and an update on our advocacy work in Poland and Israel. We will also be discussing our 2018 work plan and a strategic planning session for 2019. We will be live streaming the meeting on the Co-operative Housing International Facebook page.